There’s no time like retirement to really show you how much stuff you’ve accumulated over the years. Stuff you’ve bought. Stuff from your kids. Stuff you inherited from your own parents. There’s really no better time to declutter your home. The thought of clearing out what you don’t need can be stressful, and knowing you have an overwhelming amount of stuff only compounds the stress. There’s also the emotional attachment to contend with, even over things you don’t need or like. Unfortunately, the fact you received them from a loved one just won’t allow you to let go. Certainly, taking the time to declutter your home has its challenges. But clearing your home of unnecessary items at this stage in life is one of the greatest gifts you can give yourself. It’s a loving gesture for your successors. Decluttering your home will take a tremendous load off your loved ones, after you’ve passed on. Cleaning house now can ease their headache of sorting through — and potentially dividing — an entire home full of items later. You’ll free yourself up for the life you want. Perhaps you’re finding that home upkeep has become physically or financially draining. Or maybe you’d really like to travel extensively, without worrying about a large garden or pets. A smaller abode can help you achieve both, and clearing out what you don’t need will make the downsizing process much easier. You’ll make home life more manageable. Cleaning out the clutter allows you to put the items you actually use within easier reach, from kitchen utensils to toiletries to desk supplies. These items might include special old mementos you uncover in the sorting process, such as old letters, photographs and videos. You’ll also be able to move about more effortlessly, without the risk of tripping over loose articles. You’ll head off the urge to hoard. Ridding yourself of things you don’t need will lessen the tendency to hoard later in life. Hoarding entails having trouble parting with belongings, the compulsion to save everything, and extreme clutter within your home. This can become a definite hardship, especially if you’re aged and living on your own. It also pays to declutter now, while you have better physical stamina. So, why not give it a go? Find this interesting? Check out these articles. Find out more about contents insurance offered by Budget Direct to Australian landlords and renters. 1. Ease your way into it. Accept that removing items from your home can be an emotional undertaking. 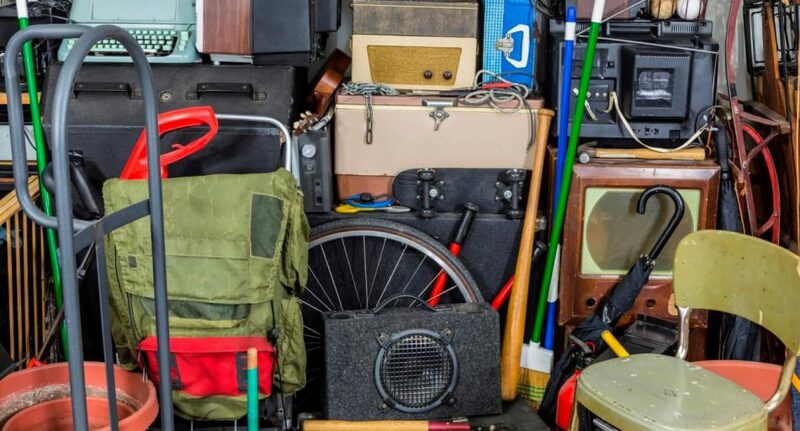 According to Julie Morgenstern, author of When Organising Isn’t Enough, SHED Your Stuff, Change Your Life, “It’s a big mistake to dismiss clutter as junk. These are things that were once important to you, to who you once were or who you wanted to be.” So, start in the rooms where your clutter weakness isn’t (maybe a bathroom or the linen closet). This can help destress and prepare you for the more challenging spaces. 2. Create a directive for indecision. Undoubtedly, there will be times when you’ll be undecided on whether to give something to the Salvos or hang on to it. When this happens, ask yourself: “What is more important to me — this item or the room it will provide for this next new stage of life?” If the object is sentimental and difficult to let go of, question whether it is the best way you’ll remember a loved one or life experience. You don’t need to keep every keepsake of a past event or person. 3. Simplify sorting into small endeavours. Don’t get overwhelmed by sorting. Practice the “one-task-at-a-time” mindset. For example, Linda Hetzer, co-author of Moving On: A Practical Guide to Downsizing the Family Home, recommends going through a closet one shelf at a time, or an office one drawer at a time. “Doing it one small task at a time gives you a sense of accomplishment and encourages you to move on,” she says. 4. Give what you don’t need to those who do. Passing your used clothing, books or other household items to those in need can help ease the pain of letting go, and replace potential loss with fulfilment. Perhaps your old office attire could go to a not-for-profit helping the disadvantaged get jobs. Some charities send books to third-world countries to help educate students. Saying goodbye to items can be made even simpler by choosing a cause close to your heart. Giving hard-to-let-go-of mementos to your children, grandchildren or other family members as gifts can take the pain out of parting ways. After all, you’ll have comfort in knowing they’ll remain in the family. Whether they’re passed-down heirlooms or that second set of precious china you don’t need, distributing keepsakes for birthdays or other occasions will also save your successors the burden of deciding what goes to whom later on. 6. Have your offspring offload their stuff. It’s tough to clear things out when some of the stuff taking up room in the garage isn’t even yours. From grown children’s primary school projects to stuff they couldn’t fit into their first apartment, ask your children to pick up or throw out their things and give them a deadline to do so. If they insist you make the call, put a few things aside you think they’ll want, give them a “last chance” and then head over to the Salvos. 7. Put short-term stuff aside. Not everything you discard must find a new residence right away. Perhaps there’s a massive art canvas your son wants, but must wait until he has a bigger place. There’s no shame in holding onto certain items temporarily rather than tossing for the sake of tossing. Just ensure you don’t allow the “short-term” pile to become too big to handle. 8. Remember, you don’t have to go it alone. If you’re overwhelmed by the decluttering process, find someone to help you weed through it all. Someone with an objective set of eyes, such as your best friend or a family member, can really make the process easier. Or hire a professional organiser to get the job done. The Australasian Association of Professional Organisers, Inc. can help you find a decluttering expert in your area.